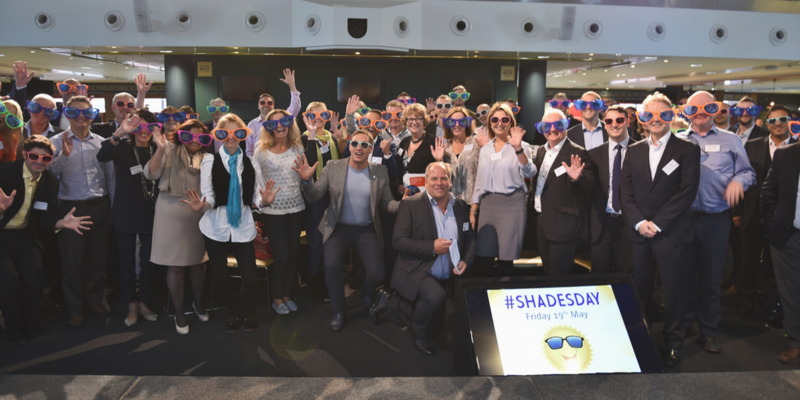 Launched today at the Elman Wall Summit was Shades Day 2017 - and the all-new Shades Day Fund. Friday 19th May is Shades Day, the date when we encourage everyone to wear their sunglasses for the charity, whatever the weather! Shades Day is the closest Friday to the UN’s International Day of the Family, and the day we recognise that thousands of struggling UK families who never enjoy even the simplest break away from home. Wearing and sharing photos in your sunglasses on social media for Shades Day helps spread the charity’s message that everyone deserves a chance to paddle in the sea, build a sandcastle and wear shades on the beach for the very first time. For many struggling families in desperate circumstances, the joy of simply seeing each other smile can lift them out of everyday cares and worries and enrich their lives forever. This year we plan to raise £35,000 through the all-new Shades Day Fund to replace one of our sixteen Holiday Park caravans at the British seaside. To pledge support for the Shades Day Fund, click here to donate, and of course upload a pic of you in your favourite shades on May 19. Elman Wall in 2014 launched our successful 500 for 500 fundraiser which raised an unprecedented £250,000 and enabled hundreds of additional families to enjoy their first break together. To join in Shades Day, follow us on Facebook and @famholidayassoc on Twitter and Instagram. Then dig out your favourite shades, grab friends, family and colleagues and get snapping to help Britain spread a little sunshine!